Maybe if I sit outside the box looking uncomfortable she'll get the hint. This post may be a little awkward for TW, after all I need her fingers to type it for me. Maybe I should call Pop to see if he'll do it. POP? He's busy? Too busy for his Smoky Gray Diva? Ok Woman, it's all yours. Get a move on! Look at the time, kittehs! It's 20 to 4 or 3:40 pm and I just got my litter box cleaned for the first time today! This should be done first thing in the a.m. This is an OUTRAGE! Completely UNACCEPTABLE! I don't care if TW cleaned it at 1 in the morning, she needs to clean in it again before 4 pm. Bet if I blow sky-high, she'll clean it in a timely manner! This ties together with the Bring On the Nip "Award" I received from Sherlock, Traveler and Ash from Feline Purrspective. I have linked back to them and I do say Thank You. The thing I'm celebrating is that my litter boxes have finally been cleaned. I should be celebrating something cool like getting a present in the mail or that Pop is starting his 4th week of being working at home since his office building was flooded during Superstorm Sandy. No, I'm celebrating that TW finally cleaned my boxes! I'm celebrating TW's ineptitude or just plain negligence of her cat's basic needs. How sick is that? Such is the life of this kitteh. Good staff is so hard to find. As I just used the box, I'm counting down to when it's gonna get cleaned again. I might as well use this time to pass this chain award on to other kitties. You know you want it! I see you lining up for it! Cody, stop hiding, I know you already got it. Let's pick some names out of the hat. No, actually, I'm going to do something different. I'm going to pass it to some Twitter furrends and they can tweet the reason they're celebrating. @ShaynaCat who does have a blog, ShaynaCat's Blog, so she can blog about it. Also Purrime Ministerettes Shiva and Jaya cos their blog is just so funny. I know they'll have fun with it. NEWS FLASH! My box was cleaned right before dinner, which would be about 2 hours after I used it. Hehe love the picture. Concatulations on your award! 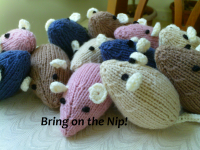 Well done on your bring on the nip award. Congratulations Keisha. Have a lovely Monday. Mebbe a little pee-mail will get her moving, CK! HaHaMeow! You really DO look ticked off in the picture, CK. The humans really do have to realize that cleaning litterboxes should come even before coffee in the morning. Umm, don't you think you're being a little high maintenance? Most kitties get their boxes cleaned once a day, especially in a one kitty house. Concatulations on your award, CK! I agree, your human does need to get a bit more "regular" about the litter box cleaning! oh, hey, COOL, CK! Love how you're passing the award along!! Happiness is a clean litterbox. But SALMON make me extra happy. Love Caren and Cody's comment ;) ConCats on the award. Shame the human is so useless!! Litterboxes can never be cleaned enough. After all, we like to go in and use them right after Mom scoops! Congrats CK!!! I know...a clean box is a happy box! You gotta keep those humans in line! Rumblemum suspects that our box may be a bit stinky, with her being away... Rumbledad isn't good at changing the litter. Srsly, TW is slipping, CK! That box should be cleaned after every use!! Do you know that there are sometimes WHOLE DAYS that go by when my litter does not get scooped at all??? Talk about an OUTRAGE. Today has been one such day. She's lucky I don't poop in her SHOES. Please send your Mommy over to my house to clean OUR box! We is lucky is she cleans it before she goes to bed at night and there are two if us!!! Hiya CK! I can make limited comments so thought I would at least let you know I am around. Frankly, Mom and Dad argue over who is fastest to tidy up my two litter boxes...want me to send you there's litter box cleaning training manual?? Congratulations on your award! and your clean box? Love the topic! See my thoughts!